All-in-one luxury bedding, ready to use. Just roll out. Duvet cover, Comforter, Pillowcase and Sheet Insert all come in One Bag. Perfect for that extra guest, no fussing around looking for that extra bedding. Just roll out Coprimi and you’re done. “Coprimi in Italian means Cover Me. My vision for this unique approach to bedding was to create a roll out and ready-to-use bedding set that would ‘cover me’ with simplicity, style and elegance." Comes with duvet cover, slip in comforter and sheet Insert that buttons and snaps in place, keeping all in place when in use and all roll up. The set simply rolls out, ready to use on a mattress, or couch or anywhere you choose. Coprimi all-in-one bedding set comes in a variety of fabrics and hand made prints. To launder, simply unsnap and unbutton the sheet insert and wash (or replace with new sheet insert). The fabrics are pre-washed, machine washable, all natural fabric—100% light weight cotton and 100% light weight linen. The Coprimi all-in-one set is comprised of an outer duvet cover, a slip-in comforter and sheet inserts that button and snap together— keeping all in place when in use and when rolled up. The set simply rolls out, ready to use on matress, couch or anywhere really. Coprimi all-In-one bedding set come in a variety of fabrics and hand made prints. To launder, simply unsnap and unbutton the sheet insert and wash or replace. The fabrics are pre-washed, machine washable, all natural fabrics, 100% cotton 100% linen. The Coprimi bedding is perfect for, quest rooms, corporate jets, tiny homes, dorms, travelers, airbnb and sleeping lofts. 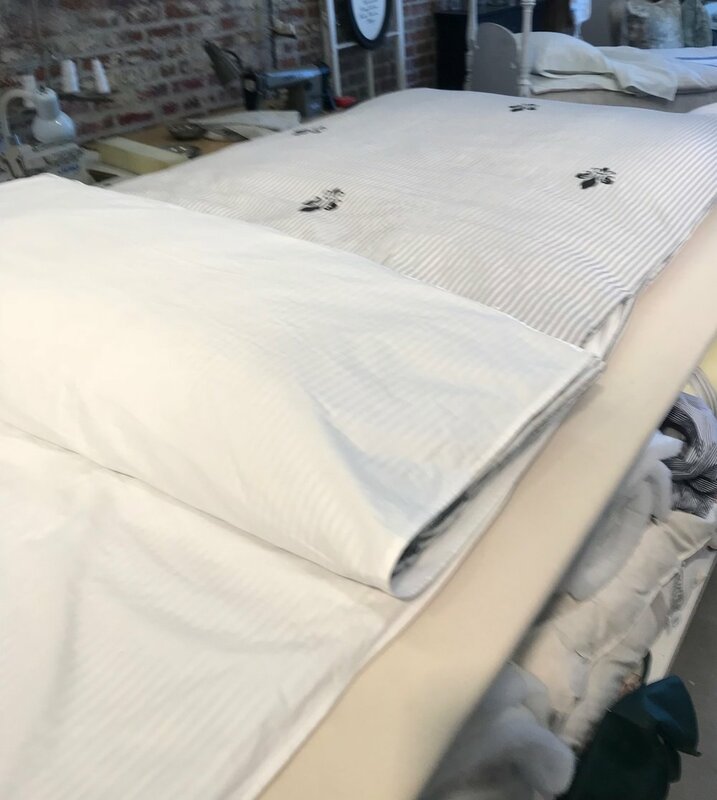 Coprimi bedding is expertly designed and carefully handmade by Lindsey Minghi at her design studio in a historical brick building in the heart of Petaluma California. An expert in slip cover design, she has been designing and sewing since she can remember and continues to come up with inspired design concepts like the Coprimi All-In-One set.